It’s a party with ergs! There will be races.There will be music. There will be beer, soda, and bites to eat. There will be musical chairs. All are welcome! Kids are welcome. (We have a free 100m kids race for kids 12 & under of any registered competitor.) Prizes for the kid racers. Prizes for the adult racers. 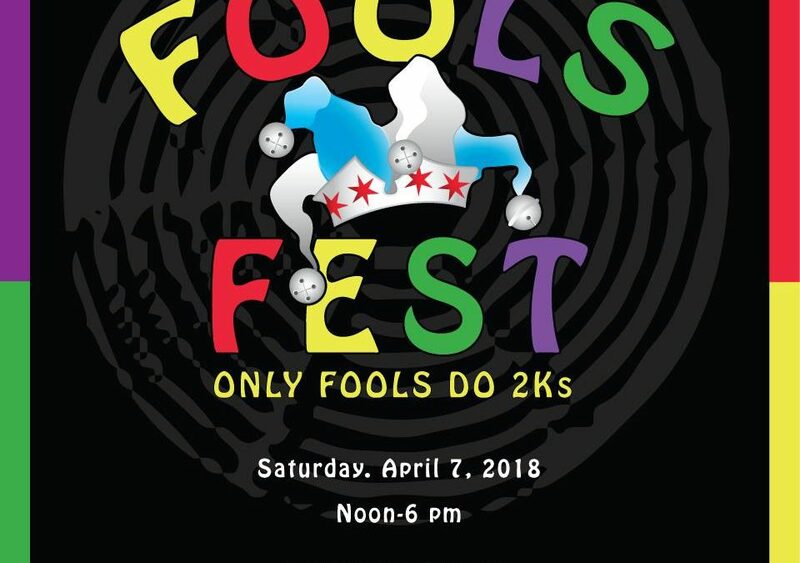 Each entry is $40, which entitles you to enter as many events as you want, along with receiving a triblend Fools Fest 2018 event tee and pint glass. Please come and help us launch this inaugural event! We hope to make this an annual tradition and a great institution in Chicago each spring.